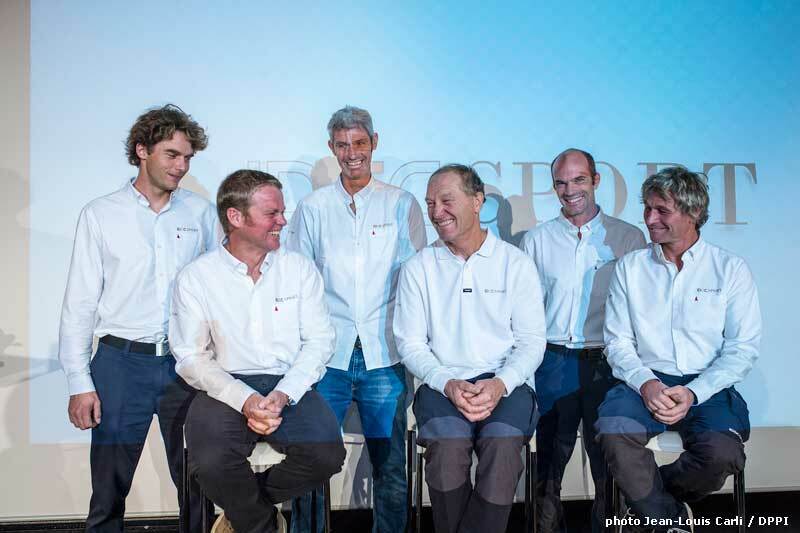 The Maxi Trimaran IDEC SPORT sailed by Francis Joyon, Clément Surtel, Alex Pella, Bernard Stamm, Gwénolé Gahinet and Sébastien Audigane won the Jules Verne Trophy, the outright round the world sailing record, this morning. 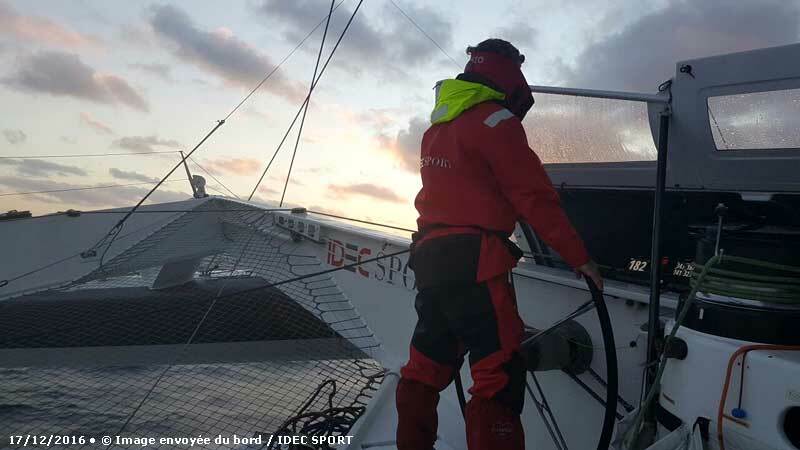 They crossed the finish at 0749hrs UTC on Thursday 26th January 2017. 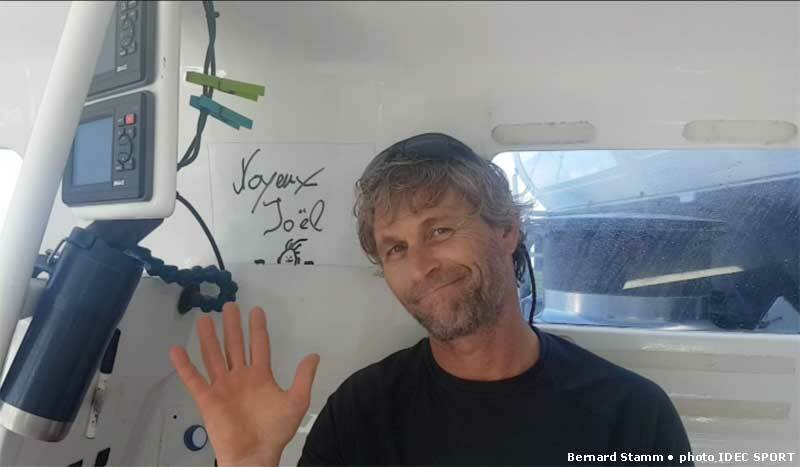 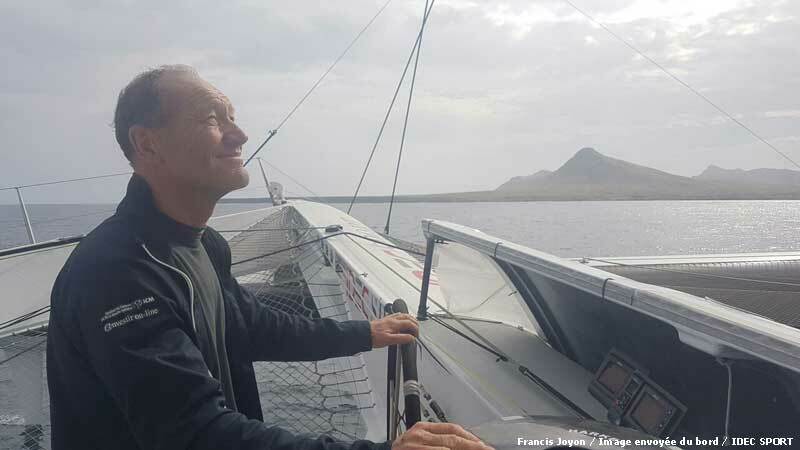 Francis Joyon and his crew sailed the 22,461 theoretical miles in 40 days, 23 hours, 30 minutes and 30 seconds, at an average speed of 22.84 knots. 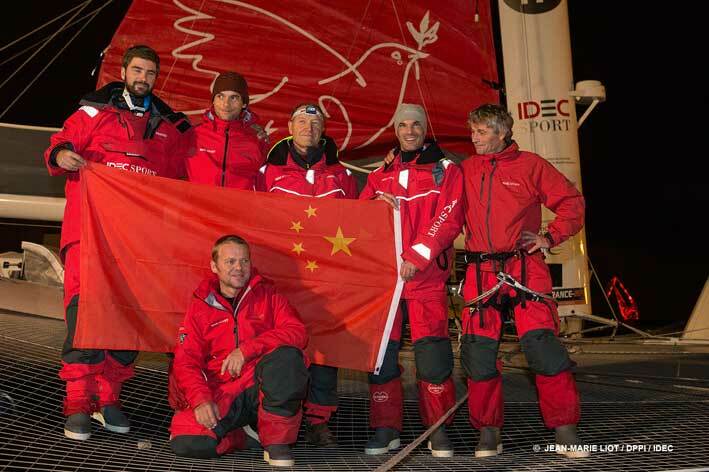 Out on the water, they actually sailed 26,412 miles at an average speed of 26.85 knots. 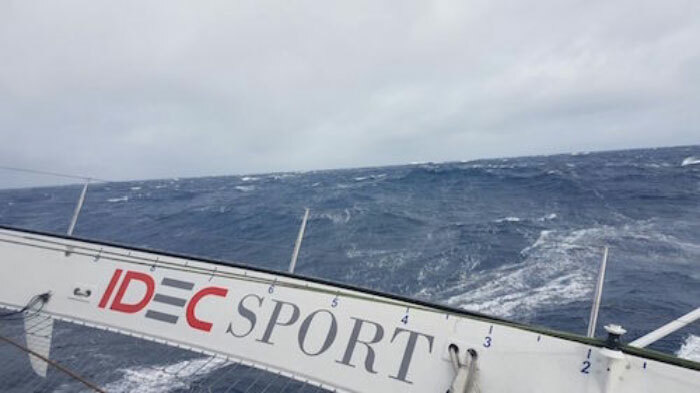 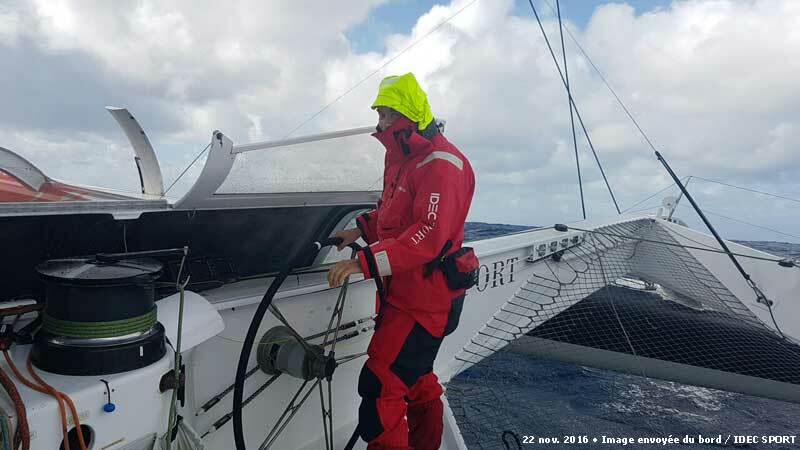 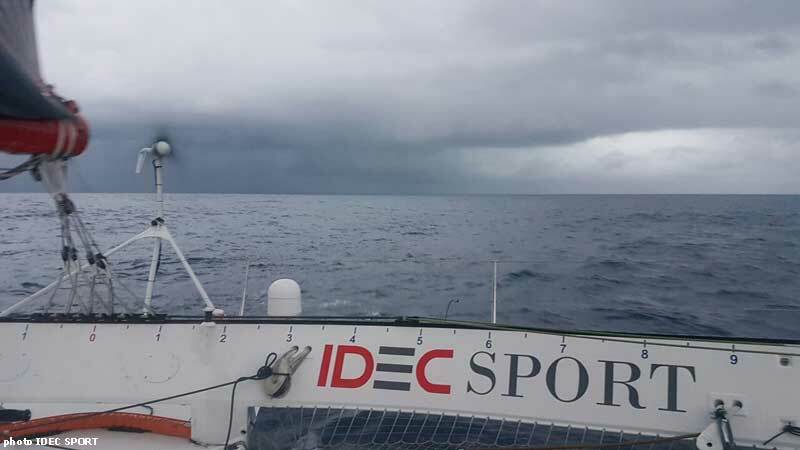 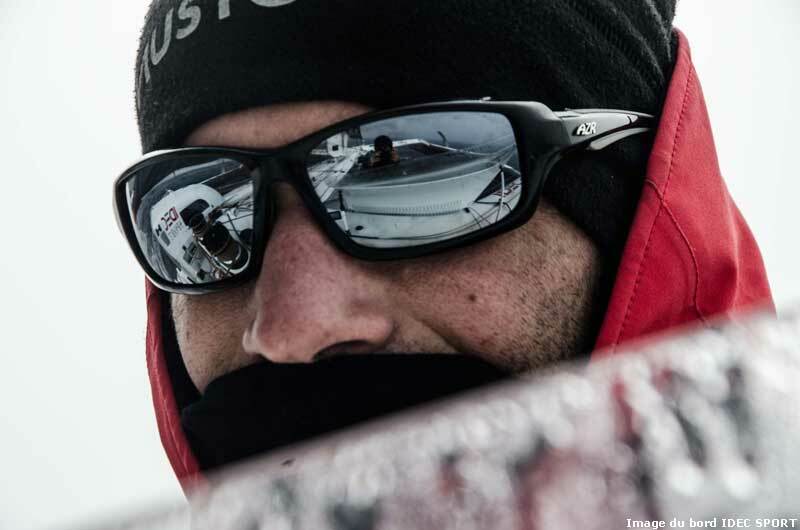 They shattered the previous record set by Loïck Peyron and the crew of the maxi trimaran Banque Populaire V by 4 days, 14 hours, 12 minutes and 23 seconds. 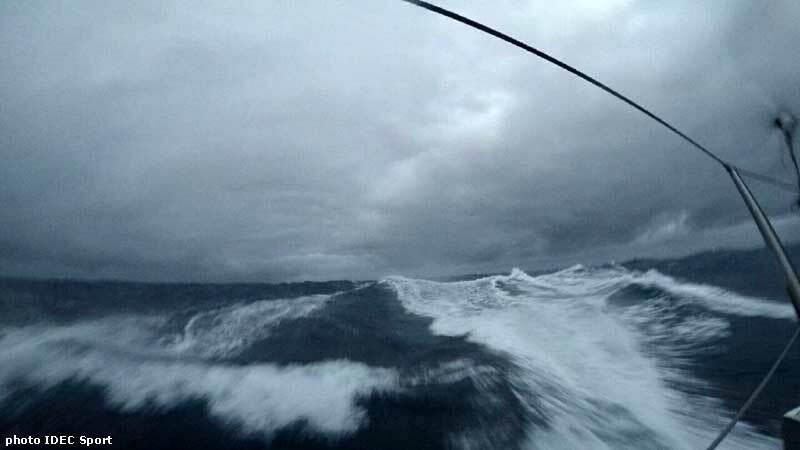 During this round the world voyage, they smashed no fewer than six intermediate records at Cape Leeuwin, off Tasmania, on the International Date Line, at Cape Horn, at the Equator and off Ushant.